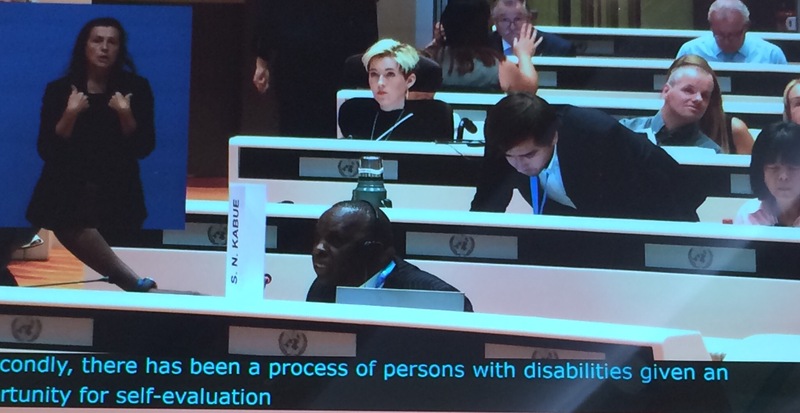 I proudly joined other Deaf and Disabled People’s Organisations today at the UN in Geneva for the formal review of the Government’s implementation of the Convention of the Rights of People with Disabilities. After months of collaboration with the other DPOs (including the Reclaiming our Futures Alliance of which we’re a member) we delivered our presentation today. Painfully we had to prioritise only a cluster of issues. I spoke on Art 13 (Access to Justice) and managed to raise our concerns about the defence to coercive abuse offences. In the brief Q&A, pleasingly two members asked questions about disabled women and girls: 1) what cases are there of women having their children removed from them by social services and 2) tell us about Sarah Reed case. We will be writing to these members with full responses. I managed to observe some of Latvia’s session later in the day to see how our UK inquiry might look later this week. It was good to see more questions asked about disabled women and girls and, a robust and direct question requiring a response, from the Chairperson herself. 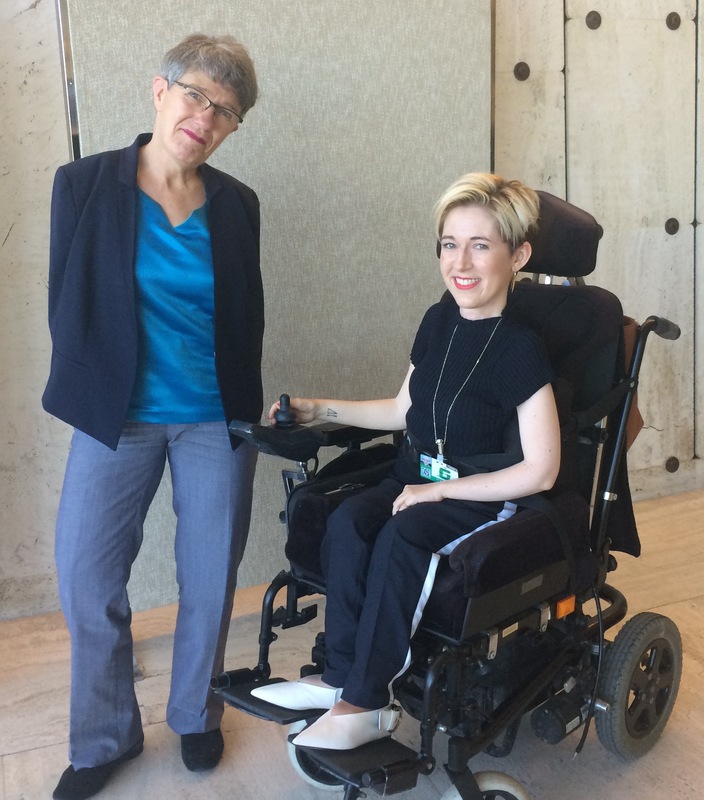 At this point there was a 15 minute break and I was fortunate enough to meet the Chairperson, Professor Theresia Degener for a coffee. She is the only woman on the Committee. We discussed s76 Serious Crime Act and she confirmed she could see why we are concerned that the defence for carers to controlling abuse disproportionately puts disabled women and people with learning disabilities at risk. Lawyer to lawyer we looked at the subjective nature of this provision – i.e. It is sufficient for the perpetrator to believe the abuse was in the victim’s “best interests”, not an objective view. We also discussed access to medical care (including reproductive and sexual health services) and the impact of welfare reform on disabled women. Professor Degener was keen to take my papers with her, so fingers crossed, the issues are raised in the review.